Gaza children have an unusual curriculum that includes realistic simulations and is being sponsored by Israel's most hostile enemy. 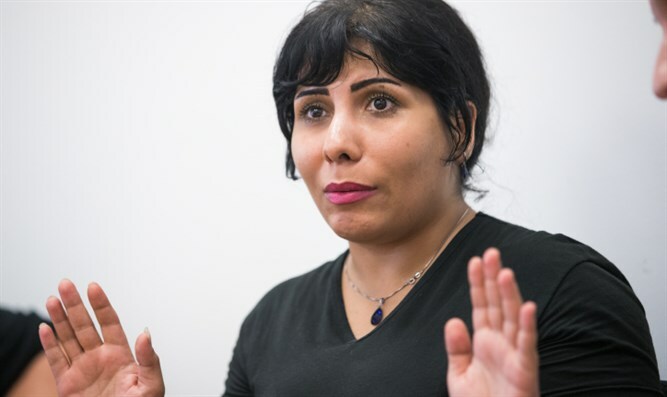 Neda Amin is an Iranian journalist who was deported from Turkey and received asylum in Israel, partly due to Arutz Sheva's publication of her plight. She is employed in the Iranian Department at Israel Behind the News. A military training camp in the Gaza Strip has started a new project for training Palestinian youngsters under the course title “How will we kill an Israeli?” In the course curriculum, the youngsters, who study at school and are recruited by Palestinian semi-military groups, learn methods of attacking and killing Jews. This military training camp, established with the cooperation and financial support of the Iranian regime, and specifically – the paramilitary personnel of the Revolutionary Guards’ army, provides courses for 14-year and up youngsters, so that they shoot at targets made to look like Israelis whom the trainers of this camp call “usurpers and terrorists”. This project, that began in early May and continued on following the latest clashes in the Gaza Strip, has so far included close to 180 Palestinian Arabs, a number of whom have joined the group from Judea and Samaria. They pursue activities under the title of “anti-terrorism training” in order to fight the government of Israel. As part of the course, that is taught in a military camp, the Palestinian Arab students are taught how they should fire at an Israeli soldier and, in case of confrontation, how to defend themselves or flee. The trainers of this military camp not only teach them how to use weapons, but also teach them methods of self defense. It should be noted that, within these lessons, people dressed in Israeli soldiers’ uniforms appear and the Palestinian Arab youngsters attack them while shouting “Allah akhbar” This way, the trainers create a scenario in the market or elsewhere, and teach them how they are to kill an Israeli soldier. One of these Palestinian teachers, who lives in a village near that camp, regards these courses as a factor causing fear among Israelis and strengthening the power of the Palestinian Arab resistance. He said: “These courses are meant to be a preparation, so that our youngsters will learn from a young age how to confront an Israeli and fight for Palestine’s goals and for the liberation of Jerusalem, until the day comes, when we will be able to retrieve our homeland from the Zionists”. In these courses, the use of an M-16 rifle, shooting at targets resembling Israeli soldiers, along with other skills, are taught even to elementary school children in grades 4 and 5. On that, an informed source said, quoting the director of the camp: “None of the parents of these students has any objection to the children’s learning the use of firearms and firing and this program is fully executed”. This informed source has also added that a group of Palestinian Arab school principals in Gaza, in explanation of the theory that “Israel strives to Judaize the outside appearances and essence of the Palestinian and Arab monuments in order to normalize its own presence in the minds of the region’s people and in the view of the indigenous inhabitants of the Palestinian homeland,” believe that, by allocating methods of Islamic education in order to contain its [i.e., Israel’s] policies within the minds of the Palestinian new generation and, also, by penetrating the educational system and encouraging them [the students] to learn fighting methods, they [the school principals] would create an opposing rejection of the Israeli government’s educational system. ", they [the principals] would train the children and the youngsters from a tender age in the cause of their campaigns of confronting the Israeli educational system, as well as actual fighting against the Jews."